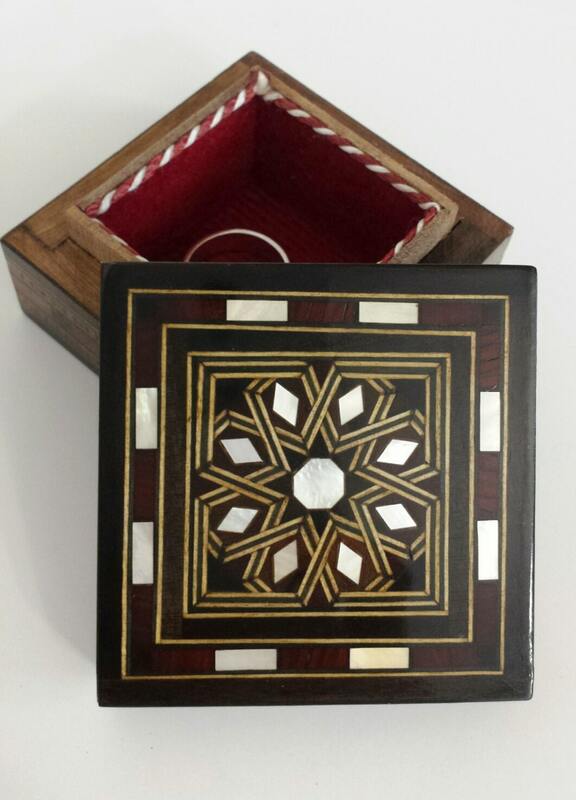 The small Marquetry Jewelry Box is composed mostly of solid walnut and inlaid with a variety of different fruit woods and genuine mother of pearl. 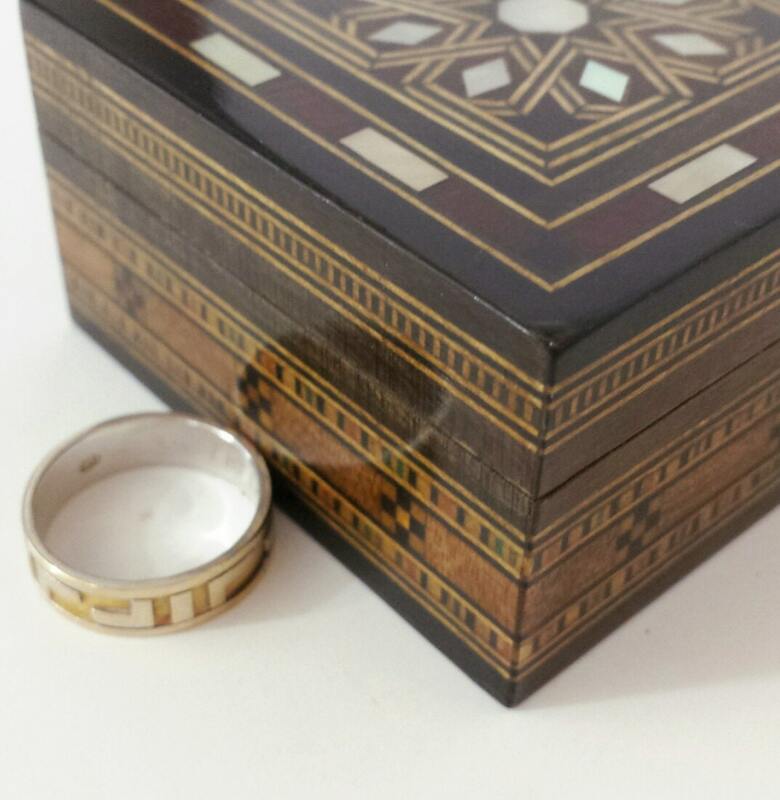 The interior of the Jewelry Box is padded with wine color velvet. 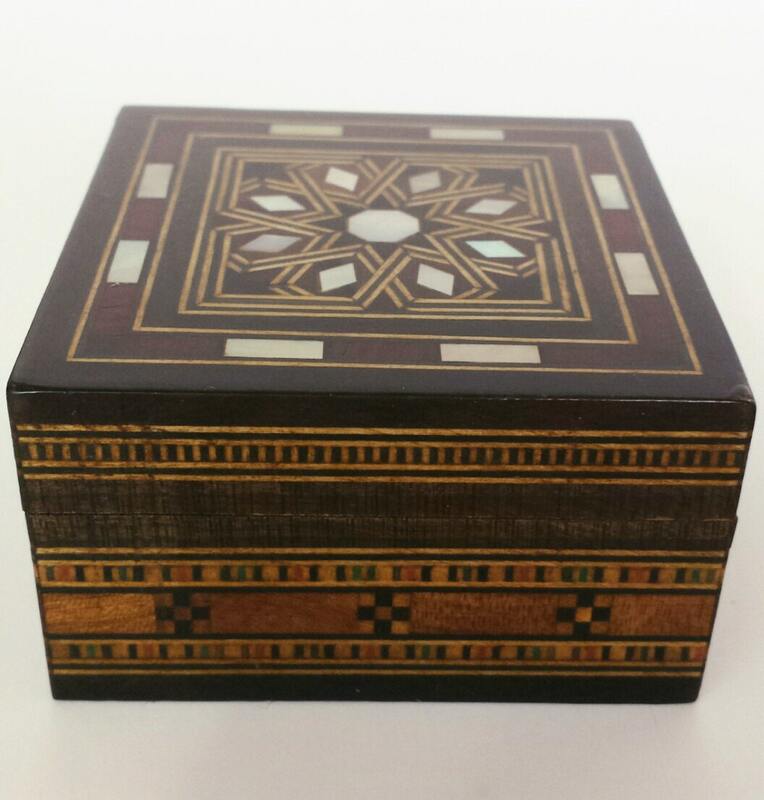 The box has stylish exterior and red velvet interior; it’s perfect to use. 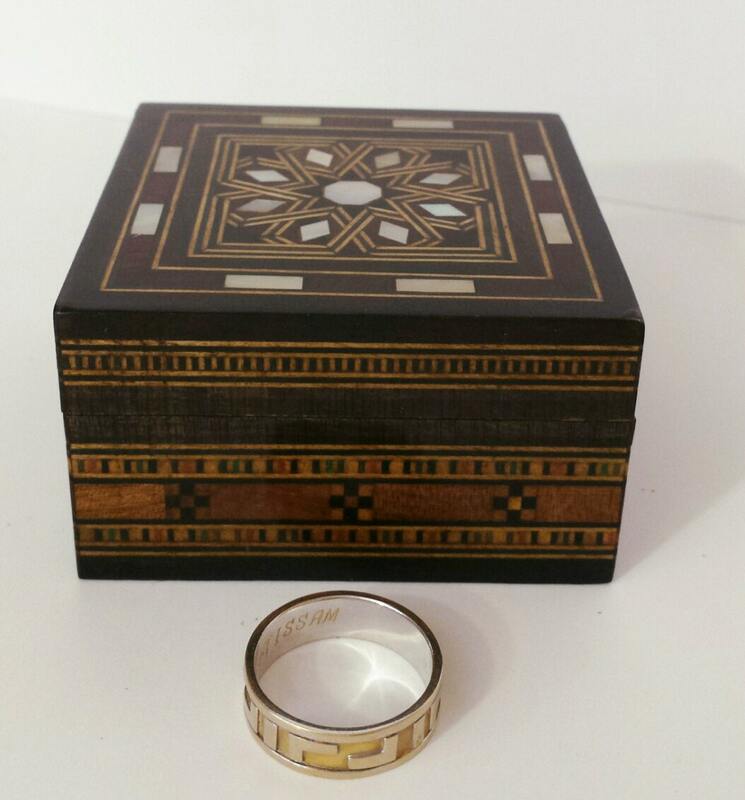 You can use it as a Small Jewelry Box, Trinket box, Ring Box or Small Wooden Decor. Our reproduction wood-works is known for its perfect and elegant designs, beautiful shapes and decorative veneers. 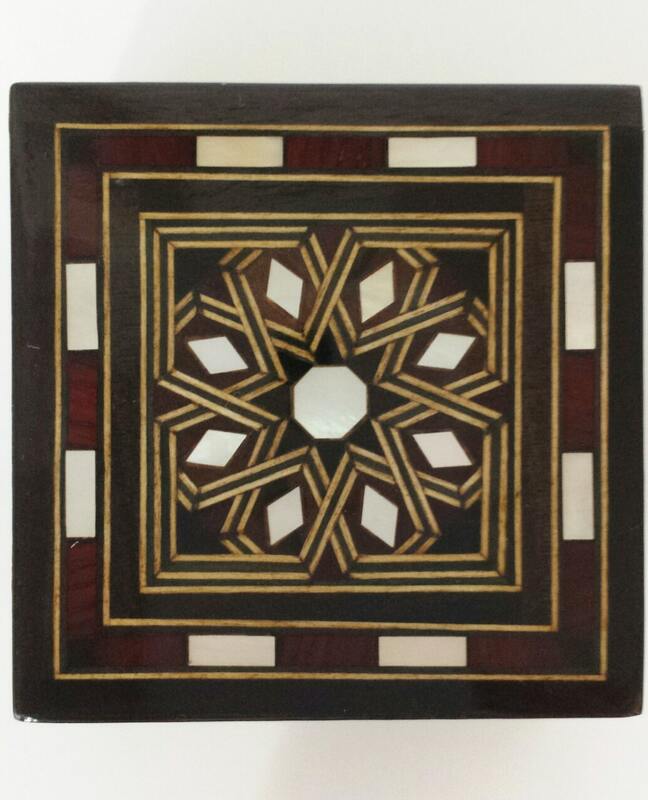 A top quality woodworking made by the Syrian craftsmen with skills not available elsewhere. Great and came in perfect time.